Fall and the start of school seem far away – I mean, who can think about going back to school when summer is just around the corner?! That said, many of you are now sitting in front of a pile of forms thinking about 504 Plans for your children for next fall. 504 refer to Section 504 of the Rehabilitation Act and the Americans with Disabilities Act. These plans are set in place to provide accommodations to school age children with disabilities (food allergies are listed among the qualifiers) to ensure that they are afforded equal access to learning and academic success as their peers. These plans are created in collaboration with your child’s school and spell out food allergy management. In addition to a Food Allergy Action Plan, 504 Plans can cover a broad range of topics such as snacks and meals, storage of emergency medication, addresses classroom issues related to food allergies such as science projects and other manipulatives, as well as hand washing policies. Many people, including school administrators, get 504 Plans confused with IEPs. 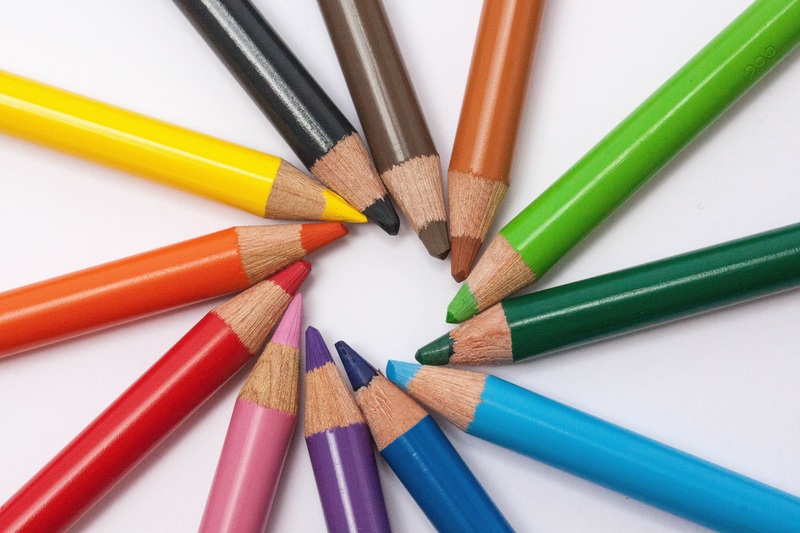 An IEP is an Individual Education Plan which allows students with disabilities (often learning or cognitive disabilities) to receive specialized instruction and/or related services. IEP qualification is determined both at meetings and in conjunction with standardized assessments, as well as other data collection. 504 Plans are determined by looking at medical records. Both are federally funded programs: 504 Plans guarantee access to education while IEPs provide supplemental academic services. 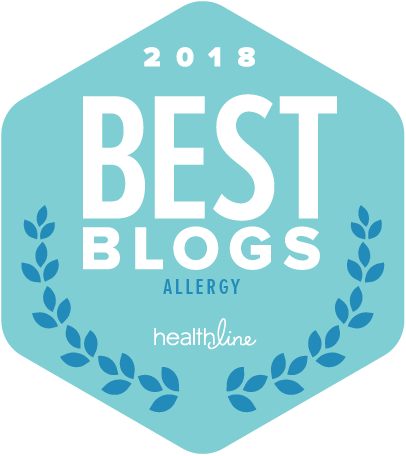 I recently came across an incredibly thorough and helpful article written by Vivian Stock-Hendel on fellow blogger, Sharon Wong’s blog “Nut Free Wok.” Entitled, Food Allergy 101: 1, 2, 3…504 , you will learn everything you need to know about completing a 504 Plan and what to do if you need both a 504 and IEP. Keep in mind, both plans can be used at schools which receive federal funding. If your child attends private school, ask someone in administration if the school makes food allergy accommodations through 504 Plans or by another means. Getting the proper amount of calcium is a tough job for those with a dairy allergy. There are many ways to incorporate dairy into your diet (see How to Get Enough Calcium When You’re Dairy-Free), but a nutritionist recently told me that the best way to get calcium is to drink it. And, sometimes you just want something cold and delicious to pour on cereal. I recently stumbled upon an article from Real Simple (April 2015) where their food contributors reviewed a variety of milk alternatives to come up with the best tasting among them. Here’s the original link to the article: The Best Milk Alternatives. And, below are they’re declared winners. Now I can’t speak about the almondmilks since my son has a tree nut allergy. 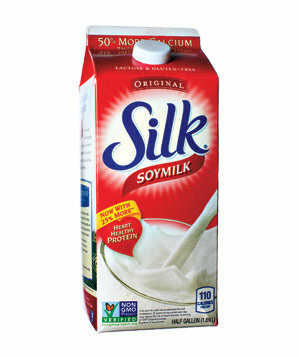 I can, however, vouch for both the Silk soymilks and the Pacific rice milk. He enjoyed them both. But if he were to put in a vote for best milk alternative, he’d put two thumbs (and maybe a foot) up for Silk Very Vanilla Soymilk. Tastes great and works fabulously well as an ingredient in baked good. We’ve also tried Costco’s Kirkland Signature Organic Soymilk Vanilla which came in as his close 2nd favorite. What kinds of milk alternatives do you use? Any input on creamers, cream cheese, sour cream? Bring ’em on! The more votes the better! I have a food allergic 10 year old. I’m starting to see all those signs of tweeny-ness that my friends have been talking about. And, although I could use a lot less eye rolling and smart alecky retorts, but I understand this is a (questionably) necessary right of passage into his more independent teen years. Do you all remember being a teenager? How many ill thought out decisions did you make? My oldest child will be a teen before I know it and he’ll be faced with choices of his own. The only way he’ll grow is to make mistakes, I know. But when food allergies are a part of your life, small mistakes could be costly. They believe they are invincible. Having had the minutia of their lives cushioned by their parents, teachers, etc up until these years, they feel they are unstoppable. Teens are independent creatures. They may balk against whatever makes them feel limited. They fail to tell their peers about their condition. They don’t want to/don’t know how to speak up to authority figures (such as teachers, waiters, etc) and alert them of their food allergies and dietary limitations. Teens often leave their emergency medication at home – particularly when active and/or wearing something fashionable that leaves little room for autoinjectors. They taste foods to see if it might contain an allergen, rather than reading labels. My guess is that it may be harder for teens to reject an invitation to taste something “amazing” or even terrible, particularly if it means that behavior allows them to better fit in with their social circle. Start the conversation about food allergies early. Without scaring them, very young children should be aware that some foods can make them sick. Empowering young children will enable them to more confidently handle their food allergies as they age. Provide choices. [I thought this was the best suggestion I’ve heard in a while. I can’t wait to implement it this weekend!] Decisions about who and which kind of epinephrine autoinjector to carry, what kind of cuisine they’d like to eat, what their food plan is for outings without you will again empower them and force them to think through their food allergy roadblocks before they hit them. In the WebMD article, Teens With Food Allergies Take Risks, Dr. Sicherer goes on to suggest educating friends as a secondary safety net. This has already served us well [See That’s What Friends Are For] as my son’s friends help look out for him, are careful to make eating a more INCLUSIVE rather than exclusive experience, avoid eating my son’s allergen around him, and have been taught how to use epinephrine autoinjectors. Teach your child’s friends how to use an autoinjector. This is a great use of old EpiPens and Auvi-Qs and tweens and teens find it interesting. By now, they’ve usually seen autoinjectors before and have loads of excellent questions. Practice using autoinjectors by injecting them into an orange or grapefruit. But the most important thing you can do is keep up the conversation. Not only are food allergies dangerous, they are stressful. Keep talking to your tween and teen about them. Make sure they know the door is wide open to discuss anything that comes up surrounding them. And, present them with the big picture: that you might want to fit in during your teens but you want to stand out in your twenties. Encourage them to get a head start by being careful and responsible with their health! The child of a friend of mine was just diagnosed with a peanut allergy. Until I began to discuss what this meant with her, I had forgotten just how overwhelming the initial part of this process can be. 1. Find a recommended allergist; preferably one who specializes in food allergies. Often times, food allergy diagnoses emerge from a pediatric/internist visit or a trip to the emergency room. And while these professionals are knowledgeable, it’s important to touch base with an allergist who is on top of ever-changing information and treatment. 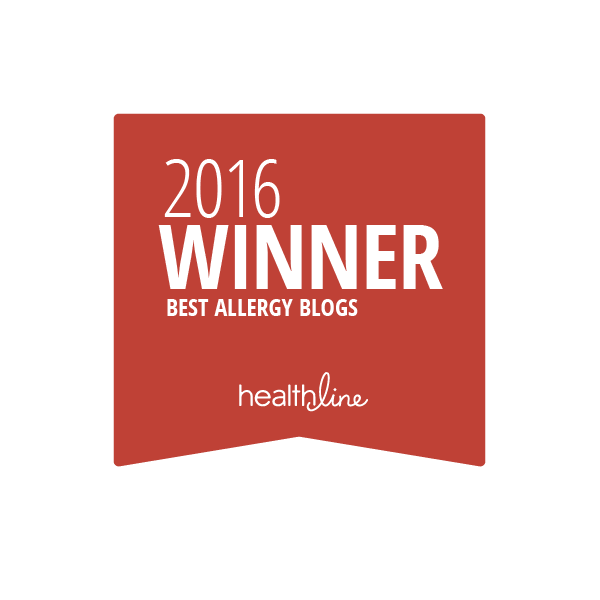 Our fabulous pediatrician not only has a child with food allergies but is food allergic herself. And despite that, even SHE defers to our allergist! 2. Fill your prescriptions and learn how to use your auto-injector. There’s no wrong answer when it comes to choosing which auto-injector to use (see: Auvi-Q vs. EpiPen: Which Is Best for You?) . And you can learn how to use them here: Familiarize or Refamiliarize Yourself With How to Use an EpiPen and Auvi-Q: Watch and Learn. While you’re at the pharmacy, I would pick up a couple of boxes of Benadryl (for kids, at least two liquid packages) to keep in your house and at school. 3. Review your pantry and devise a labeling system. It’s important to make your home a safe space to eat. Begin by reading ingredient lists and separate safe and unsafe foods. Put that dining room table to good use! And, don’t forget: manufacturing being what it is, many products are made on equipment that contains your allergen and should be put aside until you speak to your allergist. An example of a labeling system can be found here. 4. Create an Emergency Action Plan and an Emergency On-the-Go Pack. An Emergency Action Plan eliminates questions and increases your confidence about what to do when certain symptoms arise. 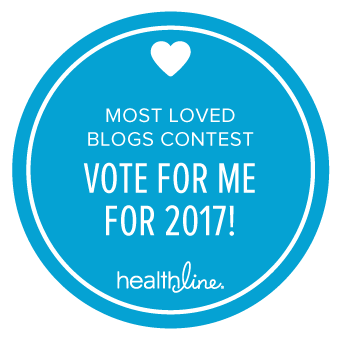 You can have your pediatrician/internist or your allergist fill one out for you. Make a few copies to keep at home, school, in the car, on the fridge, in your On-the-Go Kit, etc. The more, the better! An Emergency On-the-Go Pack corrals all your emergency medication, including your auto-injector, plus your Emergency Action Plan and a copy of your insurance card into one pouch. You’ll always know that you have all of your necessary supplies when you leave the house. Plus, it will make it super-simple to pass your pack between bags or to another caregiver and know that everything your child needs to stay safe is at hand. A few notes: Jot down questions as they arise in this early part of the process. 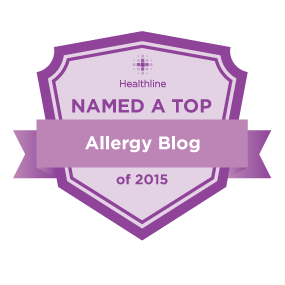 Use your questions as discussion points and get clear answers from your allergist. 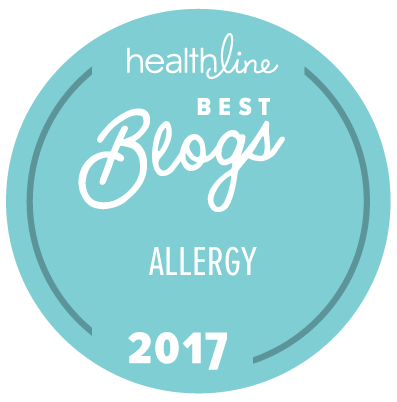 Please refer to Allergy Shmallergy’s SCHOOL category to get ideas of how to handle allergy issues at your child’s school, starting with Back to School Food Allergy Checklist. Most of all, remain calm! Managing with a food allergy certainly requires a different perspective on life. But, it doesn’t need to be stress inducing. Staying informed and answering each challenge with simple solutions will allow your family to thrive. As many college kids prepare to head back to school in the next couple of weeks, it’s also a good time to know how food allergy-friendly your campus is. It appears that many other colleges and universities are also beginning to tune into the needs of their food allergic students. And, while there’s no single method that appears to be used as a “best practices” model, there are a number of different variations of making dining food allergy friendly that schools are adapting. Be sure to check your school’s Dining Services information page for their specific guidance and policies regarding food allergies. Schools have begun food labeling, placing “free from” icons at each meal station. The University of New Hampshire has set aside gluten-free pans for students to use at food preparation stations. Some universities (such as Franklin and Marshall), but not many, are making their dining halls nut-free. Colleges are stocking their shelves with gluten-free, dairy-free and soy-free, and vegan groceries (as an example, see Cal Poly’s list here), a few offer pre-ordered allergy-free meals and others post dining hall ingredient lists online. In addition to the accommodations made by dining services, many universities offer access to staff dieticians who will work one-on-one with students to evaluate a student’s dietary needs, set up meeting with school chefs, and help navigate menu options. ask lots of questions to ensure your food’s safety. Here’s a great Washington Post article by Sloane Miller, who went through college with food allergies herself. In it, she offers a few more excellent suggestions to keep you on the right track at school: Managing Your Food Allergies in Dining Halls and Dorm Rooms. There’s no reason you’ll need to miss a meal with friends in the dining hall if you’re informed and prepared!